Notes: Willenhall Stafford Street was situated on the eight-mile double-track Wolverhampton and Walsall Railway (W&W) which was authorised on 29 June 1865. The line took seven years to build, opening on 1 November 1872. It was intended that from the opening of the line it would be worked by the London & North Western Railway (LNWR) and the Midland Railway (MR). The station opened with the line as Willenhall Market Place on 1 November 1872. 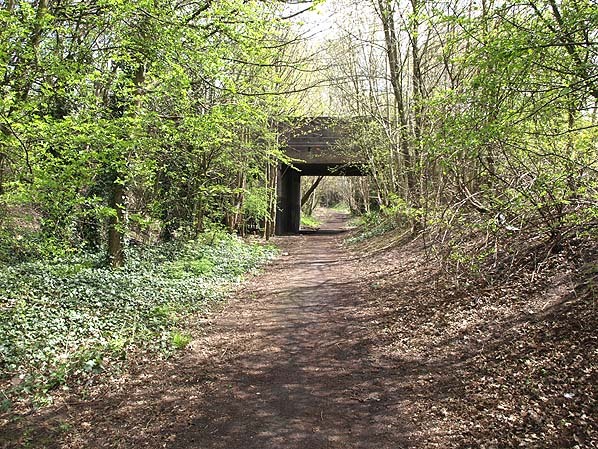 It was located on the west side of Stafford Road (the modern day B4484) in a cutting. The main facilities were at the eastern end of the down platform housed in a twin-pavilion brick building. A drive connected the main entrance of the station to Stafford Street, but there was also a sloping path that ran from the eastern end of the up platform directly up to the bridge that carried the road over the line. The up platform was reached via a set of steps from Stafford Street. It was provided with a waiting shelter. An avoiding line ran to the rear of the up platform giving it the appearance of an island although it had only one platform face. Goods facilities were located on the south side of the line adjacent to the passenger station. They consisted of a large two-road goods shed, cattle pens, a stable block, a ten-ton lifting crane, a weighbridge and four sidings. To control traffic movements along the main line and access to the goods yard a signal box was provided at the western end of the down platform. At the time of opening Willenhall Market Place would have been served by trains running between Wolverhampton High Level station and Walsall, both of which were in LNWR ownership. In 1875 the LNWR bought the W&W, but a year later sold it to the MR. The MR was interested in the W&W because it had taken over the Wolverhampton, Walsall & Midland Junction Railway (WW&MJR) in 1874. The WW&MJR had, with MR support, had been authorised on 6 August 1872 to build a line from Castle Bromwich / Water Orton (on the MR main line between Birmingham and Derby) to Walsall that also made an end-on connection with the W&W line. The Castle Bromwich line opened on 1 July 1879 giving the MR direct access to Wolverhampton. From this date Willenhall Market Place was served by trains running between Birmingham New Street and Wolverhampton High Level via Walsall (where reversal was necessary). The December 1895 timetable showed Willenhall Market Place as having ten up and ten down trains on Monday-to-Saturday as shown in the table below. There was an extra train in each direction on Saturdays and three in each direction on Sundays. On 1 April 1904 Willenhall Market Place was renamed Willenhall. On 1 January 1909 the MR diverted most of its Birmingham and Wolverhampton trains to run between Walsall and Wolverhampton via an LNWR route that had been created by the opening of connecting curves in 1881. The reason for the diversion was to avoid run-round moves at Walsall but it resulted in a much reduced passenger service at Willenhall. To compensate, some LNWR trains ran via the MR route. By doing so they could avoid a reversal at Walsall, but one that had been in the opposite direction to that of the MR trains. The April 1910 timetable showed Willenhall as having five MR and three LNWR services in each direction on Monday-to-Friday. On Saturdays there were an extra two MR services in each direction and on Sundays there were four trains each way. The July 1922 timetable showed Willenhall (MR station) as having nine up and four down trains on Monday-to-Saturday as shown in the table below. There were four trains in each direction on Sundays. On 1 January 1923 the MR and the LNWR became part of the London Midland & Scottish Railway (LMS). On 2 June 1924 the LMS renamed the station Willenhall Stafford Street; at the same time they renamed the former LNWR station as Willenhall Bilston Street. The passenger service through Willenhall Stafford Street was minimal during the 1920s, and the LMS withdrew it on 5 January 1931. The station remained open for goods services. During July and August 1942 passenger services were re-introduced onto the line through Willenhall Stafford Street following bomb damage to the route through Willenhall Bilston Street. On 1 January 1948 Willenhall Stafford Street became part of British Railways London Midland Region. The 1956 Handbook of Stations showed Willenhall Stafford Street as still having all of its goods facilities. The former W&W continued to be a busy freight route throughout the 1950s, but it closed as a through route on 28 September 1964. The line was broken at the site of Bentley station to facilitate the construction of the M6 motorway. Willenhall Stafford Street remained open for goods services until 4 October 1965 after which the line closed and was lifted back to Wednesfield. 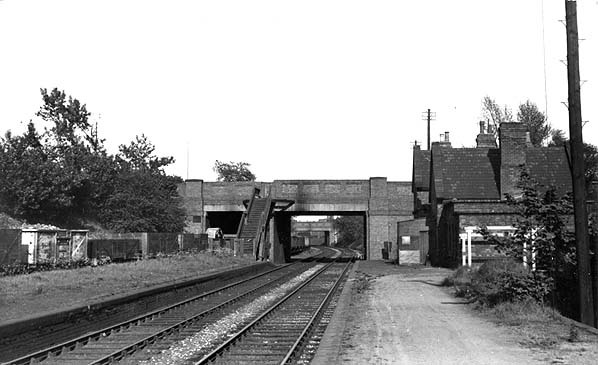 The station had been demolished by the late 1960s. By May 2013 all that remained of the station were degraded remains of platforms and the base of the steps that linked the up platform to the street. Looking east along the down platform of Willenhall Stafford Street station from the signal box in the late 1950s. 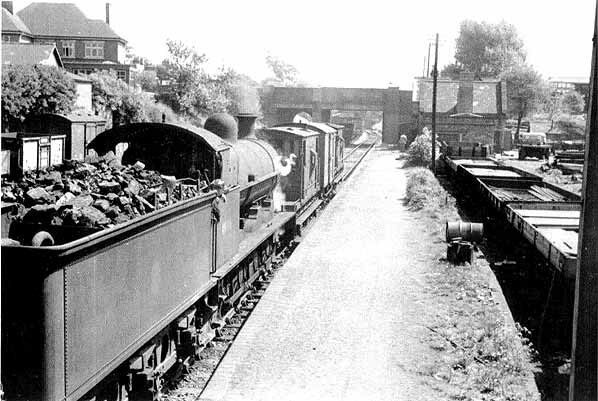 An ex-LNWR locomotive is seen shunting vans at the station. The goods yard is to the right. Willenhall Stafford Street shown on a 1901 map. At that time it was called Willenhall Market Place. Willenhall when called Market Place shown on a Midland Railway plan from 1902. Looking east along the down platform at Willenhall Stafford Street station in 1955. 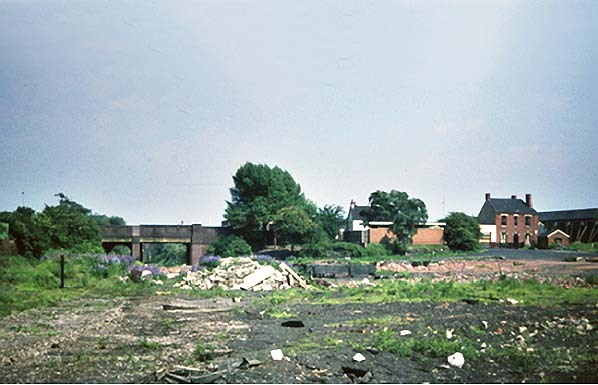 Looking east at the site of the Willenhall Stafford Street station and goods yard in the late 1960s. The platforms were located to the left, in front of the bridge; the extensive goods facilities, including a shed, were located to the right. Looking east along the trackbed at the Willenhall Stafford Street station site in May 2013. The up platform (Walsall direction) would have been to the left, and to the right would have been the down (Wolverhampton direction) platform, on which the station building formerly stood. 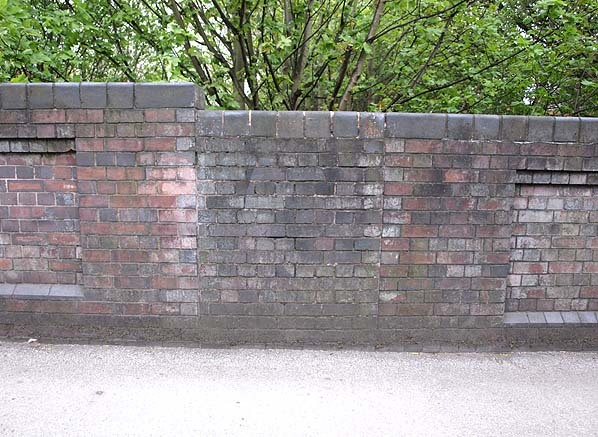 The former access gate to the Walsall direction platform from Stafford Street has been infilled with blue bricks, as seen in May 2013. 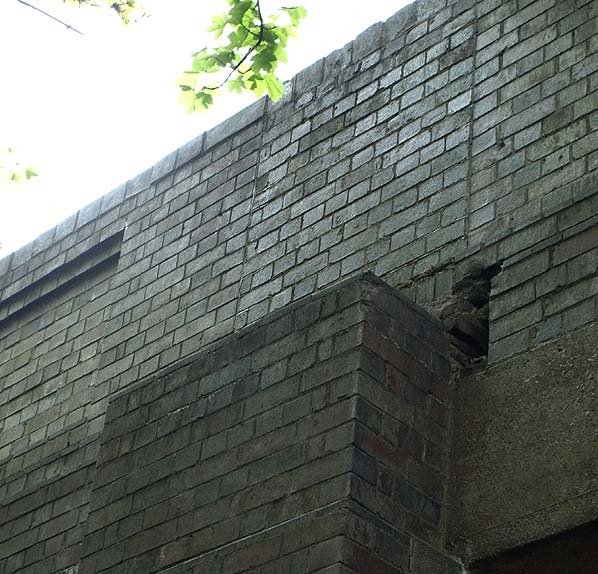 The bricked-up access from Stafford Street to the Willenhall Stafford Street up platform in May 2013, showing the lip to which the steps were attached. 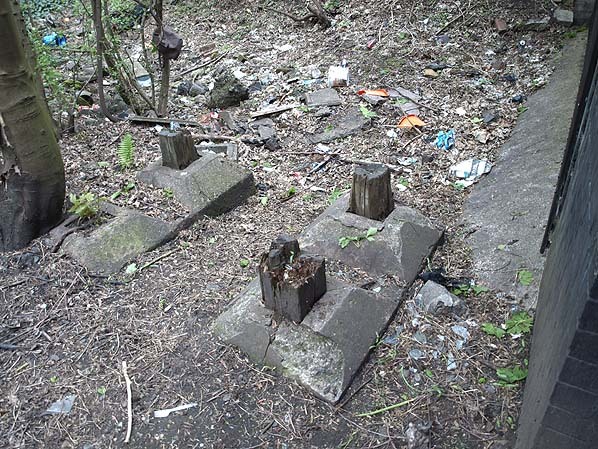 Remains of the concrete base to which the steps leading from Stafford Street to the Willenhall Stafford Street up platform were attached, seen in May 2013.